About 59 percent of the children reported some bullying in their first years of elementary school, but that generally declined as the youngsters got older. However, about 15 percent of the children were "exposed to the most severe levels of victimization from the beginning of their education until the transition to high school," Marie-Claude Geoffroy and fellow researchers from McGill University in Montreal wrote in the study. "Although peer victimization starts to decrease by the end of childhood, individuals in the severe trajectory group were still being exposed to the highest level of victimization in early adolescence," the investigators noted. At age 15, those who'd been severely bullied when they were younger were more than twice as likely to report depression or low moods and three times more likely to report anxiety than those who had experienced little or no bullying. They were also nearly 3.5 times more likely to report serious suicidal thoughts or suicide attempts. The study found no increased risk for mental health problems among teens who'd been moderately bullied. The findings were published Jan. 15 in the Canadian Medical Association Journal. 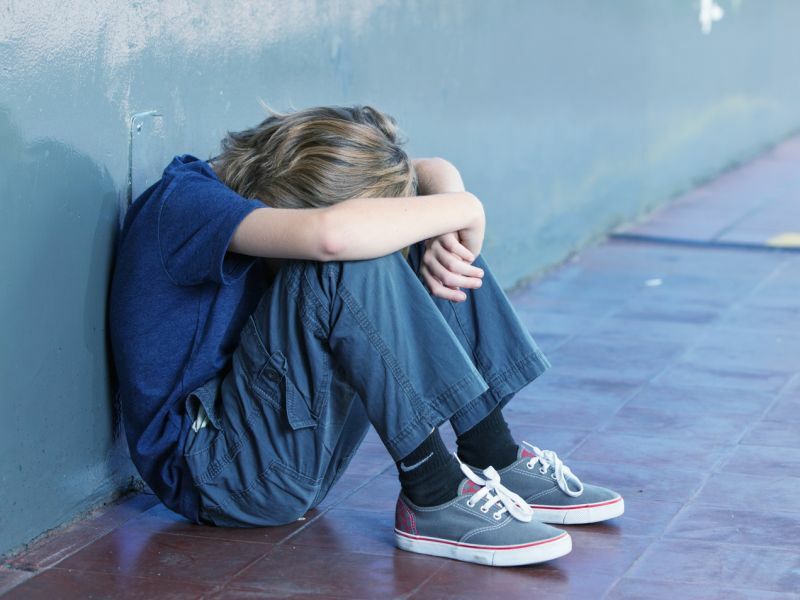 "Our results, along with those of many other studies, suggest that severe peer victimization may contribute to the development of mental health problems in adolescence," the researchers wrote. "Therefore, it is important to prevent severe victimization early in the life span." Anti-bullying efforts should start before children enter school, the investigators said in a journal news release. The U.S. National Institute of Child Health and Human Development has more on bullying.